The fight to save the Internet is heating up -- with the help of a song the Internet loves to hate. A group of protesters demonstrated in favor of net neutrality rules Thursday by interrupting the FCC's chairman with a live rendition of Rick Astley's "Never Gonna Give You Up." 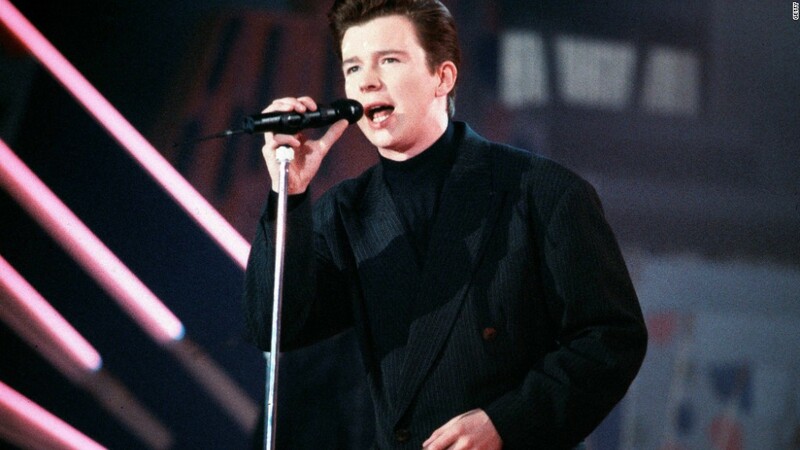 The action, which took place at the FCC's monthly open meeting, was based on a popular Internet prank called rickrolling, where listeners are unwittingly exposed to the Astley song. In this case, the song lyrics were amended. While FCC chairman Ajit Pai, who was elevated to lead the commission by President Trump, was making remarks, a small group in the audience sang: "Never gonna give you up, net neutrality. Never gonna run around and desert you." Pai sang along with part of the chorus. Ajit Pai, the FCC chairman, has called the rules a "mistake." He was recently reported to have met with the telecom industry to discuss changing how the rules are enforced, setting off alarms in the tech community. The protest was organized by Free Press, one of the groups behind the 2015 fight for net neutrality, in response to those reports. It marks one of the first offline demonstrations for net neutrality since Trump named Pai to the chairman role. "We used a popular Internet meme to demonstrate the power of the Internet," Timothy Karr, senior director of strategy at Free Press, told CNNTech. "We're exploring all sorts of tactics when it comes to protesting in favor of net neutrality." The Internet Association, a trade group representing companies like Facebook (FB), Google (GOOGL) and Amazon (AMZN), stressed the importance of defending current net neutrality rules in a meeting with Pai earlier this month. Fight for the Future, a digital rights group that helped organize protests for net neutrality before its approval, is also trying to help supporters secure meetings with their local representatives in Congress. Reps for the FCC did not immediately respond to a request for comment.